In recent years, allergies spread almost epidemic. More and more people are suffering. The symptoms are well known: hay fever, eczema, swelling of palatine tonsils, pharyngeal tonsils, etc. The term allergy often blocks the search for the true causes. Instead of following the causes, usually only the symptoms are treated and the disease is considered incurable. Bee pollen existed before the first humans. The human organism never had any difficulties with them. Only in the last decades hay fever became known. There is no indication that the pollens have suddenly become "aggressive," but at least superficially, one blames pollen for hay fever instead of looking for the cause in one's own organism. Since lately hay fever has occurred so frequently, it seems obvious to look for the causes of it in the changed way of life. Of the few doctors who dared to research the causes, all came to the conclusion that the animal protein plays a major role in many allergies. In the case of hay fever, for example, the consistent omission of the animal protein in the diet for about 3 years is enough for a complete cure, if at the same time attention is paid to a healthy, nutrient-rich diet with a high raw food content. Without the omission of animal protein, however, many allergic diseases are actually "incurable". This can be seen very clearly in so-called eczema2 (skin rash on the whole body) in infants. Many infants react to eczema when switching from breast milk to cow's milk (in very sensitive infants, this may even happen if the mother consumes milk during breast-feeding). Since the animal protein is foreign to the species, it has to be removed from the baby‘s body as quickly as possible. The skin is used as an excretory organ. The rash is therefore not a malfunction of the baby on the cow's milk, but a correct defense reaction against a foreign, harmful protein. Of course, the eczema that is considered incurable immediately disappears when the cows' milk is put down again and instead almond milk or crushed fruits are given. Knowing that animal protein, especially when heated3, is a foreign substance to our body, it is not surprising that milk is considered to be the best-known allergenic food. However, whether one should call the healthy immune response of the body as an allergy and thus as an illness is more than questionable. It would be more correct to describe people as ill, who show no signs of excretion of the toxins with constantly high consumption of heated animal protein. Because even if the symptoms do not occur immediately, that does not mean that the body is going through such an ordeal for a long time. If, after a few years or even decades, the consequences inevitably come to the fore, the connection with the way of life is usually no longer recognized. Even if you seem to be suffering from "out of the blue", you should always be aware that the human is not a misconstruction and every disease symptom has (at least) one cause. Eliminating this cause (s) usually restores the health of the body. The suppression of symptoms does more harm than good. If e.g. the elimination of toxins through the skin is prevented by any measures, the poison in the body causes internal damage after some time, which are usually much more serious than a rash. One has come to the conclusion that many "incurable" diseases involve a nutritional component. Asthma, for example, can be one of the body's defensive reactions to animal foods, among other possible causes. In a study of asthma patients, a diet high in fruits and vegetables and completely devoid of animal nutrition (=vegan) was reported to improve the patient's survival after four months, even 92 percent after one year!4 By the way, milk is known as the common main cause of asthma. «The masking is responsible for the craving of the addict for his particular food or drink. It also explains terms such as <habit>, <hardening>, or <tolerance> that people use to describe the general experience that discomfort disappears when getting used to an allergenic food, chemical, or stressor (due to masking). This includes: Meat (incl. Poultry, fish and sausage), eggs, milk and their products. 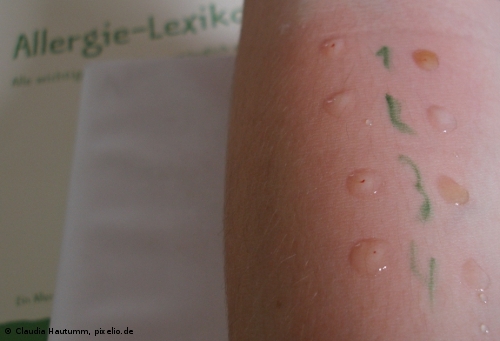 In Germany, every third baby is already suffering from atopic dermatitis! (from: Schachmatt den Allergien, page 9). Already the widespread pasteurization is sufficient to drastically reduce the value of the protein. Dairy products are hard to buy unheated. Meat is almost always consumed heated. Mackarness, R.: Allergie gegen Nahrungsmittel und Chemikalien, 1986, S. 135, quoted in: Recht, Ute: Verhaltensstörungen durch Fehl-Ernährung, Novalis-Verlag, 1993, S. 52f, SFr. 22.–.